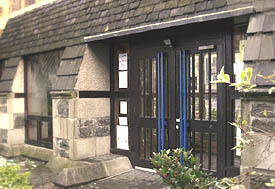 "Our vision is to be a church which inspires people with the Good News of Jesus Christ through our enthusiasm, worship, witness, nurture and service"
Here you will find information and articles ranging from Sunday Worship times, to manna cafe information and more - scroll down to find downloads of the current Sunday Sermon and Order of Service. Do also download our Church Journal - full of news and information. Hope you enjoy your visit to Newport-on-Tay Church of Scotland Web. Remember, visitors to our Church are especially welcome. Join us for Sunday Worship and a coffee in the Church hall after. Hope to see you soon! If you would like to send us an email please just head over to the Contact Us page. Our postal address is: Newport-on-Tay Church of Scotland, Blyth Street, Newport-on-Tay, Fife, DD6 8DB. Crèche, Sunday Club and Youth Seekers meet after the Family Talk. For more details, please see "quick contacts" to the right of this page. You can view recent Order of Services, listen to recent sermons and read our latest Church Journal by clicking the links below. Click here to view the 14th April Order of Service. Click here to view the 31st March Order of Service. The April 2019 edition is now available to pick up in Church or click to download and view on your computer in glorious colour! 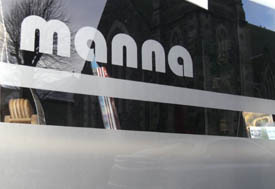 manna is already becoming a regular meeting place for groups and clubs - at all times of the day! We also stock gifts, crafts and jewellery! Love manna? Love Baking? Call in to see how you can help! Uses include Children's Birthday Parties, Exercise Classes and Country Dancing! Click here for rates table. Full details on request. Bookings by outside organisations must be approved by the Minister or Session Clerk. We have Sunday evening services in our Church, starting at 6:30pm. There is a variety of styles, something for all tastes, and last for approx. 30 minutes. take a Google Maps tour of our Church!